The BJP has two ministers in the Naga Peoples Front (NPF) government but had stitched a pre-poll alliance with the National Democratic Progressive Party (NDPP). 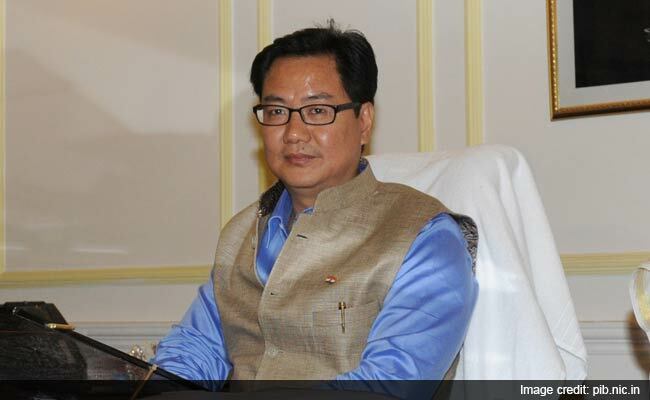 Union Minister and BJP leader Kiren Rijiju said on Saturday that if his party's pre-poll alliance with the NDPP in failed reach the half-way mark in the Nagaland assembly, it would have an "understanding" with the ruling NPF to form a new government of the three parties in the state. "Our chief ministerial candidate is Neiphiu Rio (NDPP leader). But if we do not cross the magic mark, then we will have to have some kind of understanding that the party's leadership will decide," Rijiju told India Today news channel. Interestingly, the BJP has two ministers in the Naga Peoples Front (NPF) government but had stitched a pre-poll alliance with the National Democratic Progressive Party (NDPP). Rijiju said the BJP did not dump the NPF neither has it quit the NPF-led government. He said a seat sharing agreement could not be reached between the BJP and the NPF but such a pact was finalised with the NDPP headed by Neiphiu Rio, one of the founding members of the NPF. The NPF has passed a resolution saying it would continue its alliance with the BJP. "As of now, in the present government, the BJP is in alliance. We have two ministers in the T.R. Zeliang government. So we are already there. "Since our alliance is with the NDPP, we would like to have comfortable majority with the NDPP. In the event of a hung assembly, there is no problem because there are major three parties - the BJP, NPF and NDPP. "The NPF has already sent (us) the resolution...and with the resolution, there is no issues left," Rijiju said. He said the election in Nagaland was a very special case because it was being held in the backdrop of the crucial Naga peace talks, which were progressing smoothly. "A favourable government, where the BJP is a very strong pillar, is important for the Naga people, for the peace talks," he said.